Articulate dissenter, votary of individual liberty, son: who is the liberals’ new darling? Some looked away, some smiled at each other as cameras flashed the most at one among them. Collectively, the judges could have been made a full constitutional bench or three, but they were all on the lawns of the Supreme Court, waiting. It was the final public event for outgoing Chief Justice Dipak Misra, the Supreme Court Bar Association’s farewell tea party. But at this point, the cynosure of all eyes was Justice Dhananjay Y. Chandrachud. The man himself tried his best to deflect the attention—but he had done a good job of attracting it in the first place. Judges of the Supreme Court, mostly ensconced behind a table on a raised platform, are not used to cameras. But the photojournalists had a nose for news—they weren’t enamoured of any of the other judges. The ‘dissenting’ judge—whose strong, clear and rationally orde­red arguments for personal liberty and other constitutional virtues had left their mark on a string of recent landmark verdicts—is who they wanted to frame within their crosshairs. 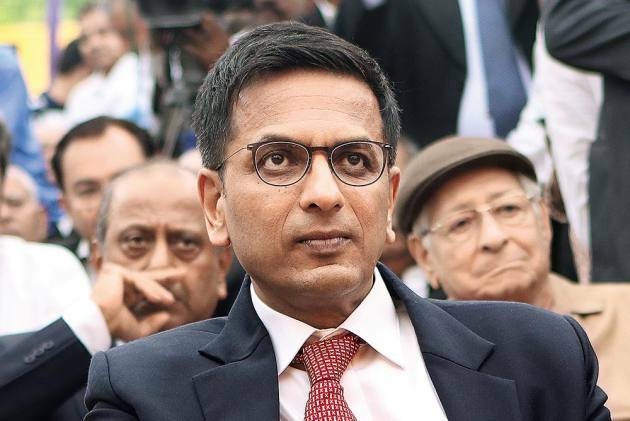 It was fin­ally only upon the arrival of Justice Misra and the inc­oming Chief Justice Ranjan Gogoi that their attention shifted and the discomfiture left Justice Chandrachud’s face. Not that he’s reticent by nature. In court, Justice Chandrachud is quite animated during hearings—not given to staring impassively while a lawyer argues with passion, as some judges are. It’s not perso­nal mannerisms, however, that have captured the imagination of the people. It’s his judgments, especially his notes of dissent. And it’s not just his brother judges, Justice Chandrachud has also dissented against his father’s decision in at least two matters, including the “lurking ghost of ADM Jabalpur”. It was the late Justice Yeshwant V. Cha­ndrachud who, with Justice P.N. Bhagwati, decided that the right to life itself could be suspended during an emergency in the ‘ADM Jabalpur case’. He went on to bec­ome chief justice and later apologised for the decision. Justice Bhagwati also publicly repented, saying he should have res­igned before he wrote it, but observers point out that he did so when he was in running for a Bharat Ratna in 2010-11. Anyway, in the recent privacy judgment, the younger Chandrachud found occasion to correct a historical wrong—even if sin and atonement aren’t admissible as juridical categories, no one missed the poetic justice as he called the ADM Jabalpur decision seriously flawed and ruled against it. In private, he confi­des that he always agreed with Justice H.R. Khanna’s note of dissent—a disagreement that had cost him a chief justiceship. Strikingly, Justice Chandrachud often writes individual judicial opinions, even if he’s in agreement with the majority ruling—a rare measure of engagement. And his social and legal philosophy found space for expression in several cases of importance since he had an extended stint at the ‘chief’s court’, first with Just­ice Khehar and then with Justice Misra. Pinning down the patriarchy behind the adultery law, allowing the entry of women at Sabarimala, relaxing the curbs on high­way liquor vends, citing the unconstituti­onality of Aadhaar, upholding privacy as a fundamental right…a core liberalism runs through all of them like a guiding ethos. “From his judgments, I find he has exhibited a great passion for upholding individual life and liberty,” says former Attorney General Mukul Rohatgi. How else to grasp the importance of being Justice Chandrachud? Simple—by the order of seniority, he is likely to bec­ome Chief Justice in 2022, succeeding Justice U.U. Lalit, with whom he is sharing a bench in the Supreme Court now. 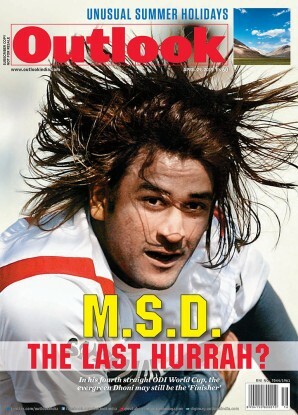 Not only that, such an ascension, if it goes through as per schedule, means he will keep the post for two years. His eventful and tough stint as CJ at the Allahabad High Court will stand him in good stead. A pretty neat work ethic anchors his workdays. He starts his day early, rising by 5 am, and goes through files, regardless of how small or big the issue is, and does not work late. He is known to be kind to his staff, never losing his temper or being punitive. In court, though, he had lost his cool during the Loya hearings at senior advoc­ate Dushyant Dave. And again with Shyam Divan during the Aad­haar heari­ngs, but that did not reflect in his judgment, where he disagreed with the majority ruling and accommodated Divan’s arguments. The universal rule is that there must be exceptions, and that too is not missing from his resume. Several people were disappointed with his not taking a potentially available route in the Loya case and directing a special investigation into the controversial death of the CBI court judge. In the Sabarimala verdict too, the dissent by Justice Indu Malhotra has kept the conversation going. “Personally, I agree with her dissenting view…. Religion can’t be tested on rationality or logic alone and the court should not dabble in religious practices. I’m not against gender equality but it’s not the correct yardstick here. Take the practice of self-flagellation during Muharram. Can one call it simply illogical or irrational,” asks Rohatgi. “The issue of a denominational temple can’t be decided the same way as other temples,” says senior advocate Rajiv Dha­van. In another context, Dhavan des­cri­bes Justice Chandrachud as “judicially playing to the galleries.” He adds another tempering note: “With the two chiefs, he has had a sample of cases but most of these were social/moral iss­ues. He’s yet to come in on cutting-edge issues like corruption and econo­mic policies,” says Dhavan. Both lawyers had appea­red before Justice Chand­rachud in a case on the appointment of the cardiology HoD at AIIMS, Delhi. The decision in favour of one doctor was challenged with a review petition, which Justice Misra said would be heard in open court. Review petitions are usually decided by judges in their chambers; it’s an extreme rarity for one to go to open court, except in death sentence appeals. Both Rohatgi and senior advocate San­jay Hegde find similarities with ano­ther judge known for dissenting with the government—Justice K. Subba Rao, who ret­ired as CJI. “Justice Subba Rao was a libertarian keen on establishing individual rights. He stood up to Indira Gan­dhi’s impulses,” says Hegde. “Justice Cha­ndra­chud too has a libertarian interpretation of constitutional rights. He has a phenom­enal capacity to write articulate and acc­essible rulings. He has shown he is not afraid to dissent. But the greater task is ahead of him as he moves towards being CJI. He has to get more of his brother judges to build a consensus around his positions, like the US chief justice, Earl Warren,” says Hegde, who was taught constitutional law by Justice Chandrac­hud for his master’s at Bombay University. Says senior lawyer Abhishek Manu Singhvi: “Educated at top global institutions, he has an intellectual disposition—those are qualifications and qua­lities ideal in a judge. That’s why each of the judgments from Court 1 have a Chandrachud stamp. You may agree or disagree but he has a great flair for writing, crafts his reasoning well and makes each of his judgments a persuasive essay. I would count him amongst the three academically minded judges of high intellectual calibre that we have." Justice Chandrachud was educated at St Stephen’s College in Delhi, obtained an LLB from DU and completed his masters from Harvard. He practised at the Bombay High Court, which designated him as a senior advocate at 38. He became a judge at 40. His two sons are also legal scholars and published authors. The elder son, Abhinav Chandra­chud, rece­ntly wrote a book on judicial history, aided by exclusive material and funding from American scholar George Gadbois, who had had great access to Supreme Court judges during the 1970s-­’80s. A whole host of apex court judges had turned up for the book’s launch. “He’s part of an elite group of the legal fraternity,” says Mumbai-based advocate Mathews Nedumpara, striking a note of ambivalence. He is president of the Nat­ional Lawyers’ Campaign, which has opp­osed judicial appointments from amongst the kith and kind of former or sitting judges. “We welcomed Justice Chandrachud’s robust statement on dissent being a safety valve. We hope he’ll maintain as liberal a stand when it comes to petitions about the judiciary. In one case, he’d dismissed our application for video recordings in court with a one-line order.” The ball is in the court. Sabarimala ruled that personal law is not immune from constitutional scrutiny. Court proceedings allowed video recording; “Open courts foster public confidence”. Alok Verma’s term as CBI director ends on January 31.